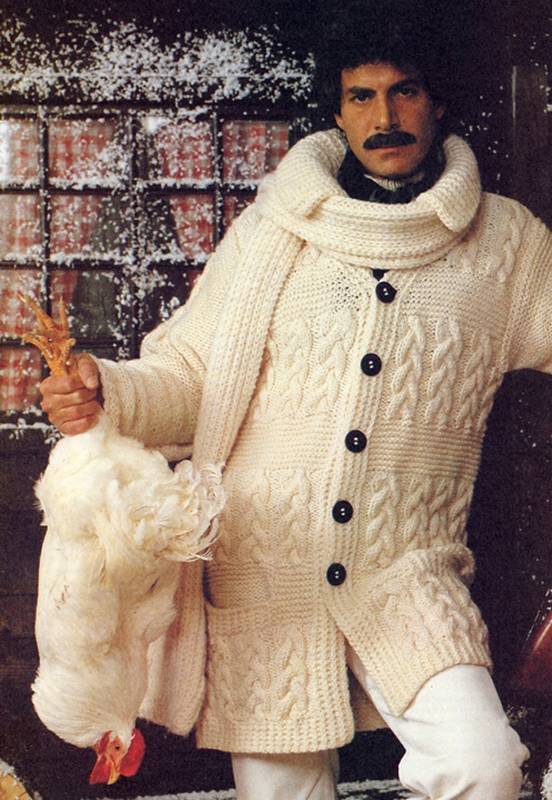 I realize this guy is holding a chicken but I couldn’t find a turkey and am really left lost for words for this week’s caption this photo post which shares a fashion ad from the 1970s that depicts a man wearing a hideous knit sweater holding a dead chicken. No wonder Millennials look at Baby Boomers like they are crazy old people. This is so wrong on so many levels. Regardless, leave a witty or funny caption as a comment for this post, and I’ll approve it for readers to enjoy. They asked me to model this obnoxious sweater on camera, but I chickened out. my grandmother knit this and made me wear it. Winter white – its not just for weddings anymore! Gentlemen, we present a winter look that kills!